Saint Jean Carbon has reported the results of the first phase of its graphene battery project, announced in January, 2017. According to SJC, while primary at this point, the graphene battery has outperformed the graphite battery, as shown by a greater discharge capacity of about 30%. Both batteries were manufactured with the same material, battery “A” graphite anode and “B” graphene anode. The company supplied performance results, among which are the graphite anode’s theoretical capacity of 372 mAh/g and the theoretical capacity of the graphene anode of 700 mAh/g. Beyond 100 cycles the discharge capacity for the graphite was 200 to 220 mAh/g and for the graphene 310 to 330 mAh/g. 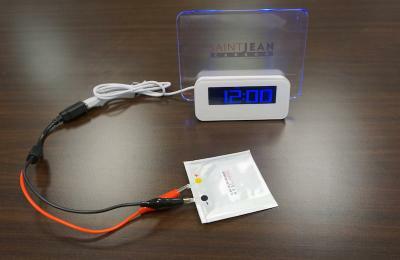 The testing processes included charging to 3V at 500 mA/g and discharging to 0.05V at 100 mA/g. SJC said that neither the graphene nor graphite was enhanced so the variations in the results have to be additionally tested. A main challenge going forward is to observe if the performance stays the same when scaled up. Both the graphene and graphite must be improved to make the best possible material for the anode. From there, SJC will attempt to increase the size of the half cells to a full cell. If the graphene continues to outperform the graphite, company experts believe they will have the required data to apply the graphene into real life testing on several different applications. Phase two is the creation of a pouch cell with function lights for demo purposes; the company is anticipating the results within the next eight weeks.